A new nature-themed sculpture exhibit, Whispering from the Woods, is being held in conjunction with sculptor and artist Kim Bellavia at the Buffalo and Erie County Botanical Gardens, 2655 South Park Ave., Buffalo. Hours are 10 a.m. to 5 p.m. daily from Saturday, Oct. 7 through Sunday, Nov. 5. 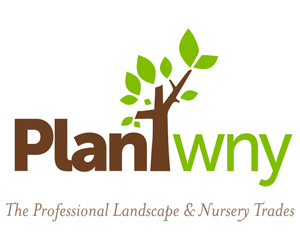 The exhibit is included with Botanical Gardens admission. Admission is $11 for adults, $10 for seniors (ages 62 and older), $9 for students (ages 13 and older with ID), $6 for children ages 3 – 12 and free for Botanical Gardens members and children 2 and under. 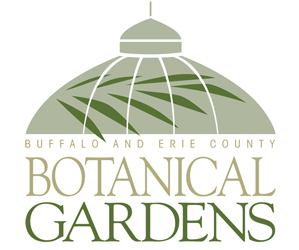 Bellavia’s work will be displayed throughout the Botanical Gardens. Bellavia is a sculptor/mixed media artist inspired by the landscape of the state parks, woodlands and national forests in the Finger Lakes Region of New York, where she lives. Her work depicts how nature and human nature weave themselves into the intrigue of life and the entropy of existence. Her most recent work, “Whispering from the Woods,” is a series of 25 sculptures that will travel in 2018. Her exhibit at the Botanical Gardens will feature some of the traveling works; about 20 of her sculptures will be scattered throughout the conservatory. 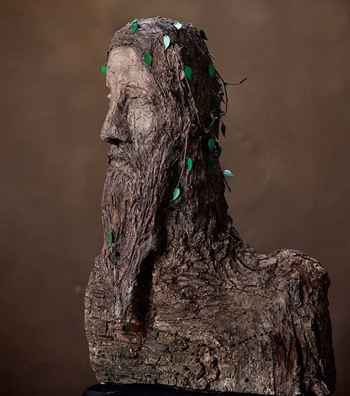 The sculptures are constructed using a unique process of combining disregarded materials, such as stumps, branches, moss and vines, combined with an earthen material made of clay, sand and soil. Influenced by folklore, myth and symbolism of trees from different cultures, the forms in her work reveal the human aura of trees. Visitors are encouraged to ponder each piece and enjoy the balance of art and nature.